Every Mediterranean country has its version of shellfish in a tomato-based broth, and the wine of choice for each is an earthy, full-bodied pink wine. Here, seek out a nice sweet rosé, I sever these with a bottle of Martha Clara Vineyards sweet rosé. In a large pot, heat the oil over moderately low heat. Add the onion and garlic and cook, stirring occasionally, until the onion is translucent, about 5 minutes. Stir in the parsley, tomatoes, v-8 Juice, thyme, and red-pepper flakes. Reduce the heat and simmer, partially covered, for 25 minutes, stirring occasionally. Now, when it comes to the canned tomatoes and the v-8 juice, I use the low sodium option here. Too much sodium is not good for you and around here I’m all about cooking things that are good for you… most of the time. 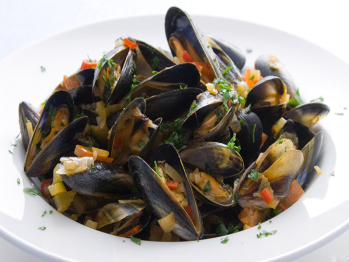 So lets get back to the mussels. Shrimp and pasta… did I mention that Stop and Shop has a sale on shrimp. Well, here’s a nice quick shrimp and pasta dish that works best when the shrimp are of a medium size rather than those super-jumbo ‘revenge of the shrimp’ size crustaceans they are farming these days. Bring a 6- to 8-quart pot of water to a boil with a shake or two of sea salt. Now, heat the oil in a 12-inch heavy skillet over moderately high heat until hot but not smoking. Sauté shrimp, about 2 minutes, and transfer with a slotted spoon to a large bowl. Add the garlic, red pepper flakes, wine, salt, and pepper to oil remaining in skillet and cook over high heat, stirring occasionally, about a minute or so. Then, add the butter to skillet, stirring until melted; this is the sauce to which we will add the shrimp. So, stir in shrimp, combine thoroughly and remove skillet from heat. 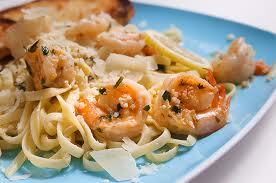 While making the shrimp sauce, cook pasta in boiling water until just tender, about 3 minutes. Reserve 1 cup pasta-cooking water, then drain pasta in a colander. Toss pasta well with shrimp mixture and parsley in large bowl, adding some of reserved cooking water if necessary to keep moist. 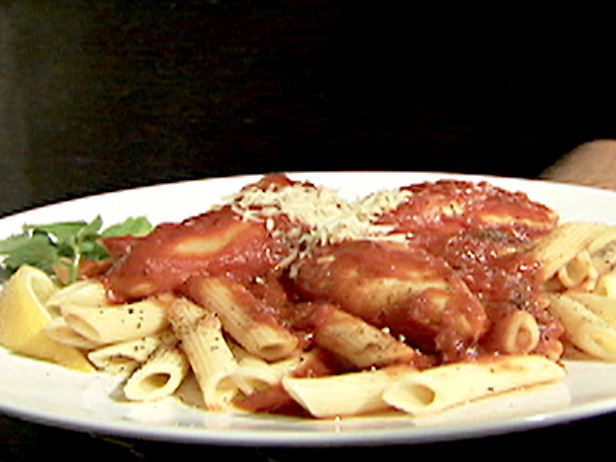 Plate it up and garnish with shaved Romano or Parmesan cheese. Serve this with the rest of that Duck Walk wine, and enjoy a sunny dinner out on the porch. Time to get back to basics and back on message, today we will be stuffing sustainable sardines. Sardines are a plentiful fish with good stockpiles here on Long Island. Although there are people who hear ‘sardines’ and start thinking ‘canned’, these are probably the same people who hear ‘Taco Bell’ and start thinking ‘fine Mexican dining’. 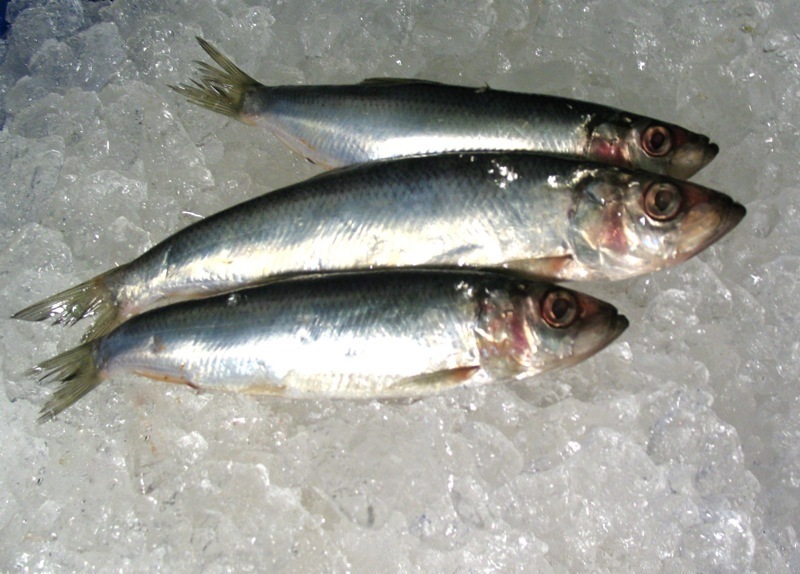 Sardines are a ‘real fish’ they come whole in the fish market with no can in sight. So head down to your fishmonger and pick up a half dozen 8 inch or so sardines and invite some friends over for an uncanned experience. In a medium skillet, heat oil over medium heat. Add ¾ cup breadcrumbs and cook, stirring frequently, until fragrant and lightly toasted, about 3 minutes; remove from heat. Add zucchini, oregano and parsley; season with salt and pepper to taste. Clean and dress the sardines. Lay them on prepared pan, flesh-side up; spoon breadcrumb mixture into the cavity. Bake until sardines are cooked through and hot, about 20 minutes. Remove from oven and serve immediately. While they are cooking, you could whip up a little couscous and a side salad and, to flagrantly steal some other cook’s catch-phrase … ‘BAM”… dinner for friends is done! Well, getting back on track here with the recipes! Today we’ll be whipping up a little pasta and sauce. The sauce features on of best, healthiest, most under-appreciated, sustainable seafood choices…. Anchovies! 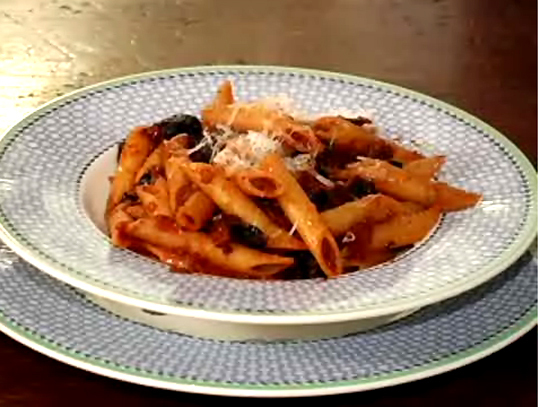 With a healthy dose of olives, this sauce is perfect for meatless Friday meals. In a medium saucepan combine olive oil and anchovies. Cook them over medium heat, stirring to mash them, about three to five minutes. Add garlic and onion and cook until tender, five minutes or so. Then stir in remaining ingredients and simmer, uncovered, half an hour or so. It will take a while for the flavors to coalesce into a unified sauce. As the sauce is cooking, start your pasta. I like to use the mezze penne, and take a moment or two to call up some friends and invite them to lunch. Pop the top of a bottle of local Long Island red wine and serve up some home entertaining.